Even though I've been crazy busy making things for my classroom, I'm not sharing those things today because I'm still waiting on some final information before I can consider them complete. School doors open in one week for classroom setup, so I'm planning to go on Monday to meet my principal (I hope) and hopefully some of my team members who can answer the list of questions I'm keeping. And hey... maybe I can even get my hands on the curriculum! 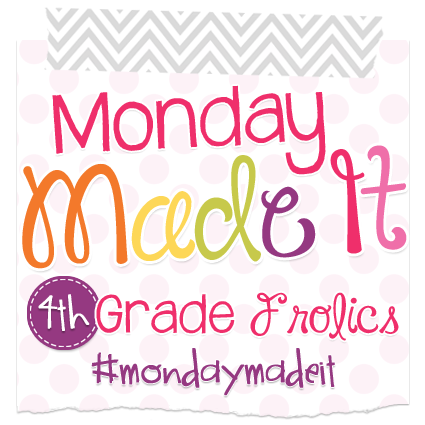 In the meantime, I'm going to share some YUMMY recipes for Monday Made It. I don't know about you, but on really hot days in the summer, I have ZERO desire to cook. Also, when I've been SO busy preparing for this next year, I find it hard to pull myself away from my work to make food. It's just so much easier to graze. Nothing really compares to homemade salsa and guac, and these were divine! I couldn't possibly tell you which is my favorite because their flavors are so distinctly different. This was what we had for lunch yesterday. No... I'm not kidding. 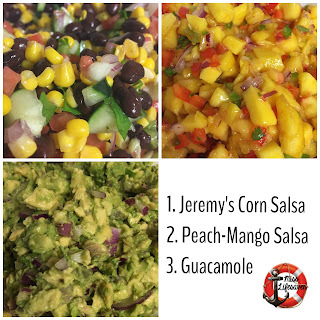 First up is Jeremy's Corn Salsa, which is a recipe that was shared by my dear friend Alison at Rockin' and Lovin' Learnin' last week. I don't really like tomatoes, so any salsa recipe that uses something else as it's base is good in my book (though I did use one tomato in this. As expected, it was DELISH! Thanks, Jeremy and Alison! When Joel's mom comes over or one of us goes to see her, we never walk away empty-handed. This week, she gave us a bunch of delicious peaches, and I just knew they were going to go bad if I didn't do something with them. 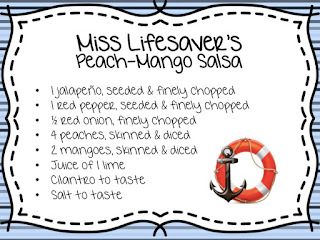 Since I'm not a big fan of peach desserts, I looked online for a peach salsa recipe. I found one from the Pioneer Woman and gave it my own twist. The result was AMAZING! The guacamole the recipe from Chipotle, except I use three avocados instead of 2. I hope you guys enjoy these recipes as much as we have! 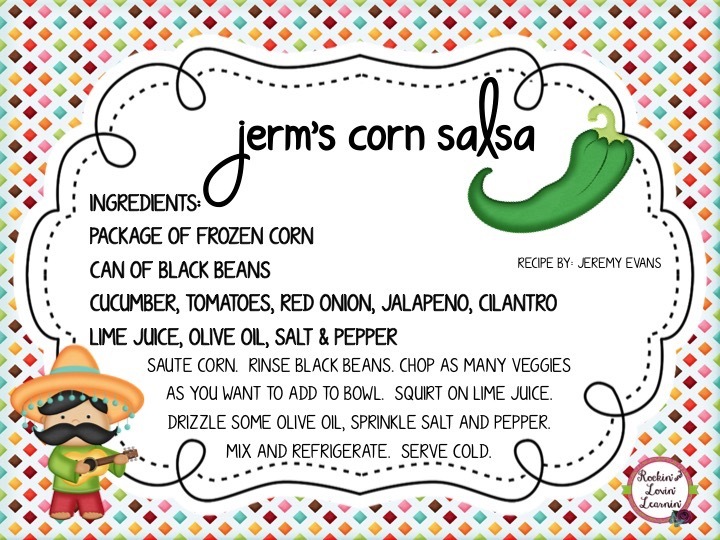 I pulled Jerm away from baking a cake to come read that you made his corn salsa! 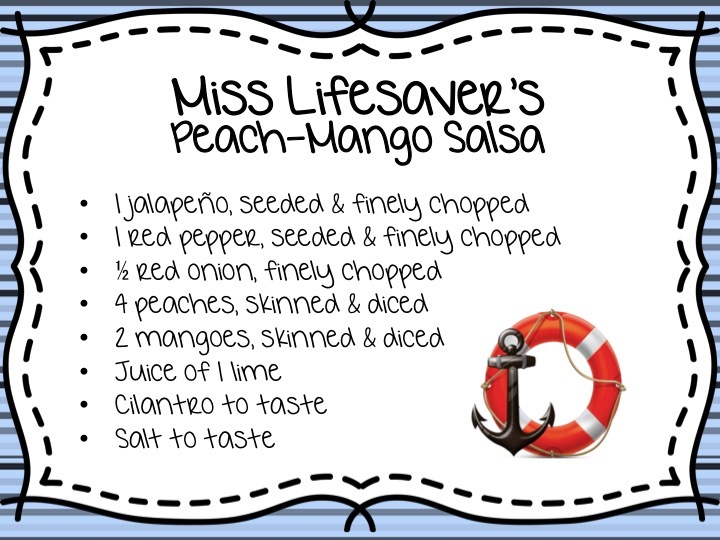 When we looked at the peach-mango salsa...he said,"Oh...we have to try that out!" Im sure you already guessed my response...."Yes, yes, you do!" XOX Thanks for the shout-out love!!!!! 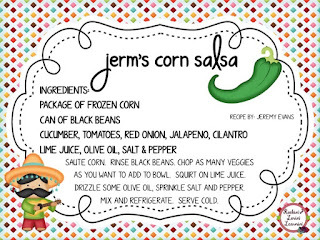 I've heard so much about Jeremy's Corn Salsa, I think I'm going to have to make it this week. Yum! Yummy-- those recipes all sound great! I want to try Jeremy's Corn salsa soon.